The final Savage Race weekend of 2018 started out with A bang…. literally. 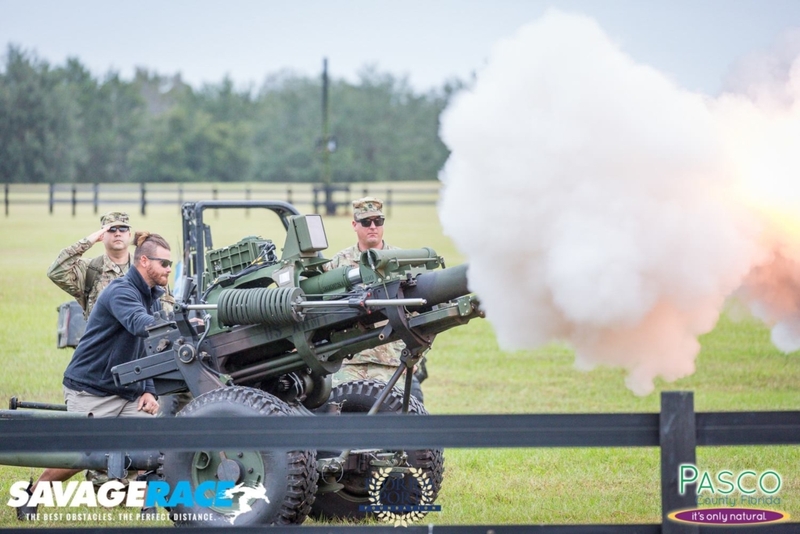 Just after the finish of the national anthem and thousands of people all around, the United States Army fired off a cannon into the air to start the final race of the 2017 season at the Little Everglades Ranch in Dade City, Florida home of Savage Race for the past several years. This time they brought it back to just over 7.25 miles after a shorten course back in the spring race in March. As the pro wave and many Savage Race veterans like Jamie stiles, Ashley samples, Jason Williams, Tamara Shawn, Brittany Martinez, Jessika Poppe, zack hill, Shawn Crosswhite and several others started making their way to the starting line, a fresh new face made a savage race debut. 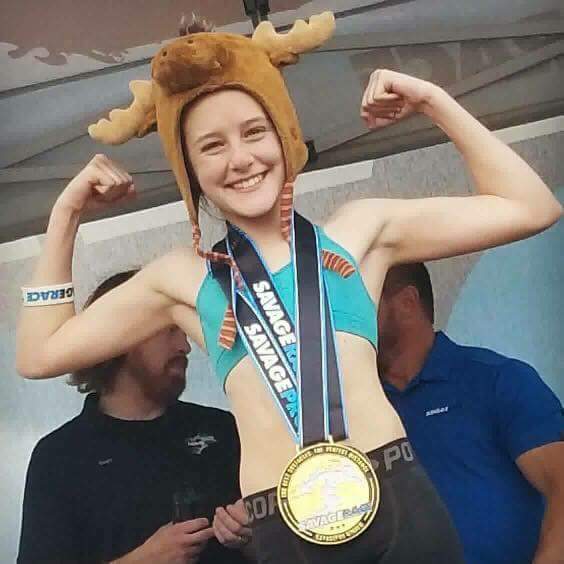 12-year-old Josalyn Wright, daughter of American ninja warrior and broken skull challenge contestant Morgan ” MOOSE” Wright. Josalyn is an up and coming force to be reckoned with in the OCR world, this little ball of fire took the course by storm and finished with her band still on her wrist. She did spend a little time at Sawtooth and twirly bird but taking in the fact that she only stands at 4ft. 7in. Some of these obstacles posed a change for the young gun. Her official time was 2hrs and 10 mins, and as this little girl grows I can see faster times and a lot of podium finishes in her future. As for the rest of the weekend, savage really brought back the essence of mud runs, using the terrain a little differently this time around, going in and out of the tree lines and waterways with thick knee-high mud, a few times I heard the shouts and screams of “I LOST MY SHOE” as people tried to race through the mud. With the obstacles like Sawtooth, Colussous, Davey Jones, wheel word well spread out sounds the course, the last leg of the race was a toughest in my opinion, back to back rigs, mad ladders and twirly bird 2 of savages new obstacles for 2017, they both really took the energy out of your arms right before you hit that all might finish line. Whats in store in 2018 for Savage Race? The release of the new short video showing savage Blitz. People have really started to wonder what this tease video was about, could it be a multi-lap experience or maybe the name of the next big obstacle? One way to find out, tickets are already going on sale for the 2018 season and can bet this guy will bet here as well. Have you done an Savage Race?